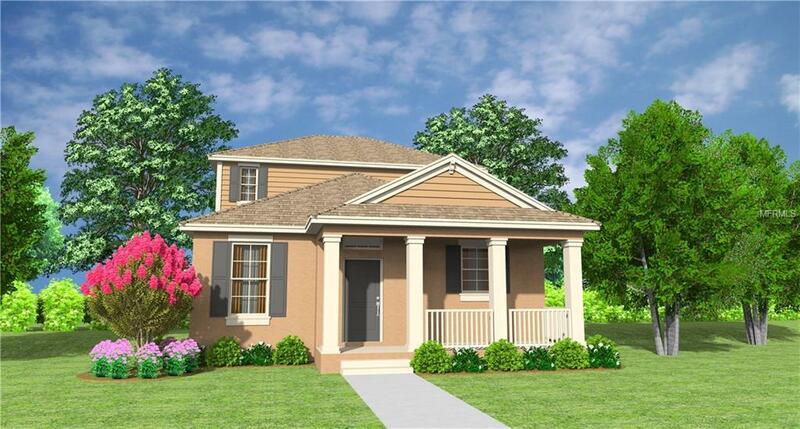 UNDER CONSTRUTION: The Cordale is a spacious open concept home with a charming front porch entry. Large open kitchen with all stainless steel appliances, granite counter tops and island with extra seating, compliments the cafe family room combination with sliding glass doors opening onto your covered lanai and back yard. Beautifully designed with the master suite on the first floor, second floor offers a loft and two guest bedrooms. Convenience of a drop zone with granite and cabinets as you enter through the garage. The porch, lanai, two car driveway are finished with brick paver's. Waterleigh is a master planned community featuring a variety of home designs with exquisite architectural appointments and outstanding included features. The highly sought after location is a lake front community with resort style amenities, 2 resort style clubhouses, fitness centers, tennis courts and beach entry pool. Easy access to 429, shopping, dining, and major attractions. **Please note that no representations or warranties are made regarding school districts or school assignments; you should conduct your own investigation regarding current and future schools and school boundaries.